On Monday, Marvel vs. Capcom: Infinite was added to Xbox Game Pass. It isn't the only title to be added to the service this week, though, as Minecraft has today become the second title to be added. At the moment, we don't know of any more titles to be added to xbox Game Pass in the future, but as Microsoft is releasing them at a rate of 1-3 per week, I'm sure we'll hear of more titles next week. We'll be sure to let you know as soon as we do. 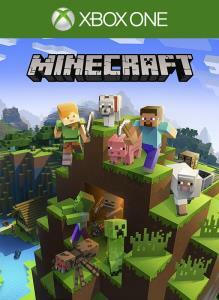 We've got the full list of Minecraft achievements - check the list for guides to unlocking them.